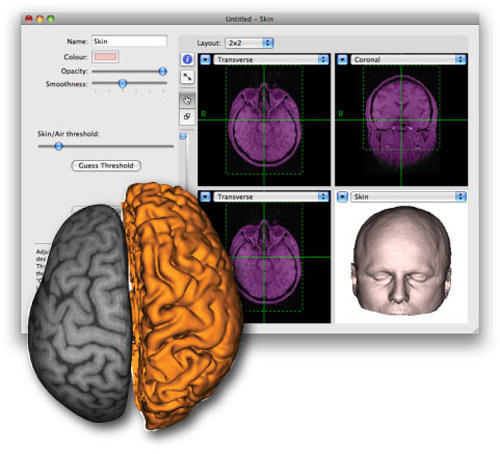 The standard in TMS neuronavigation for scientific research. The typical steps in setting up a project are laid out along the top of the main window. 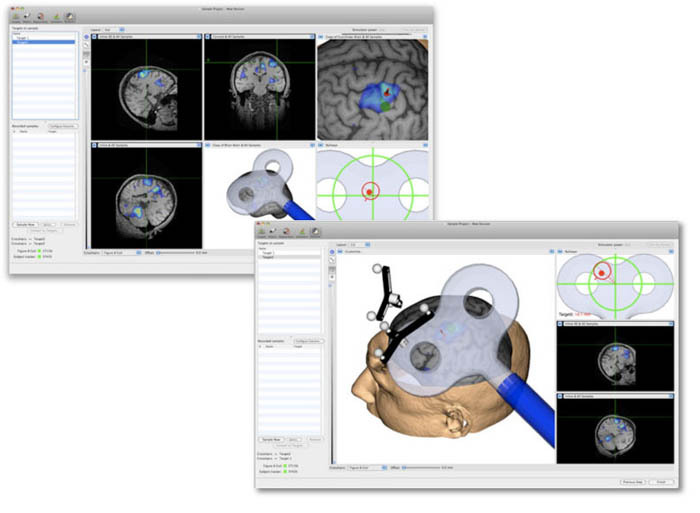 Setting up from loading images to performing TMS can be done in as little as a few minutes. 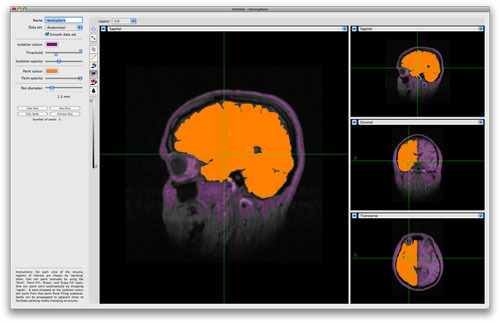 In addition to DICOM, MINC and Analyze, Brainsight supports PAR/REC, NIfTI-1, Siemens .ima, and BrainVoyager™ VMR and VMP. 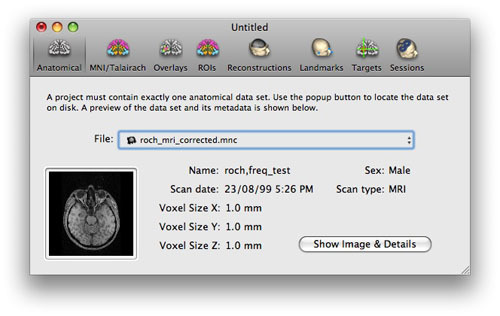 Use the manual tool or import a matrix from MINC tools or SPM. Paint a region for use in the 3D reconstruction module, or simply to highlight a structure. 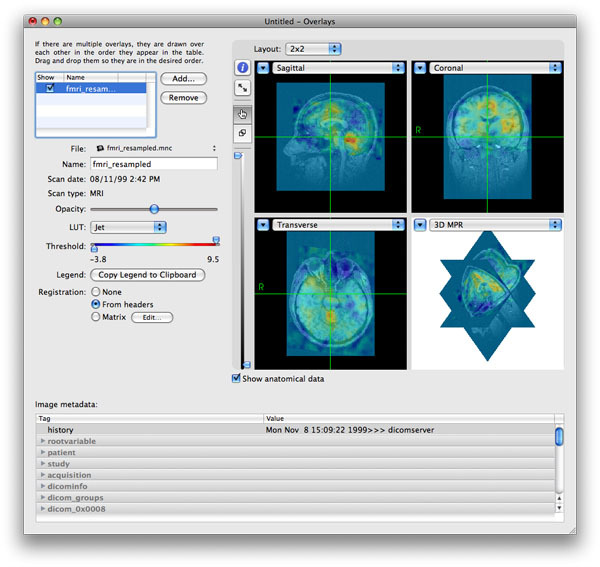 Export to NIfTI file for use in other software. Yes, we finally did it! Drawing those curves are a thing of the past. Set the desired stop depth and step size and let us do the rest. 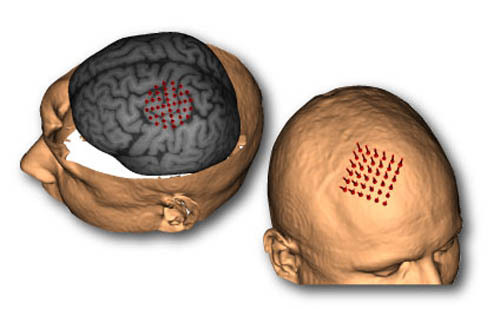 Reconstruct the whole brain or just a hemisphere. For other structures, use the region paint tool to delineate the structure (e.g. 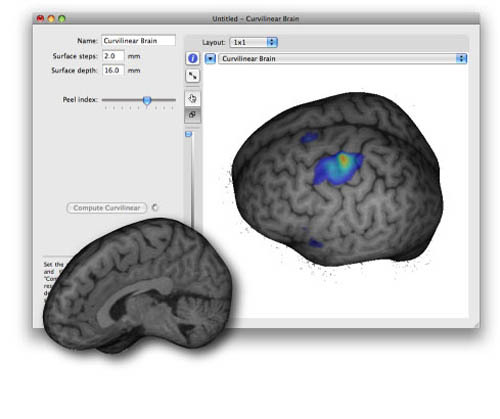 cerebellum) and we can use that to generate the curvilinear. We’ve made the skin reconstruction even easier than before. We’ve also added the ability to build 3D surfaces using the results from the region of interest (ROI) tool, so you can display anything and everything you want. Performing the TMS session is easer than ever. Use the built-in voice recognition, Apple Remote, or TTL footswitch for single user operation during the entire process. 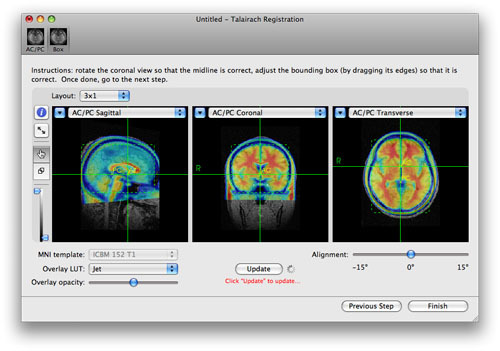 The new display configuration tools allow you to set up the screen any way you like. Use the pre-defined layout or change it to suit your preferences. Use the same project file for multiple TMS sessions. All data acquired for each session is tagged to the session, so you can review individual sessions or combine them later for group analysis. If you are using our mobile computer workstation and a supported TMS device, you can automatically record the settings of the TMS device for each pulse. 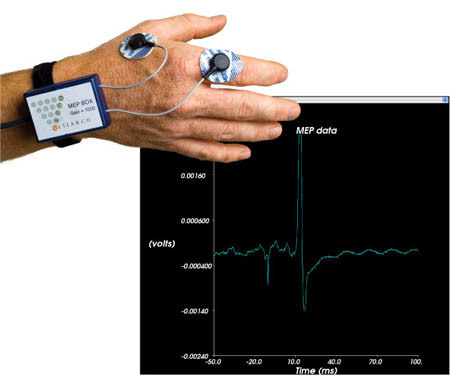 Using our optional computer cart with built-in 2-channel EMG device, you can automatically record MEP responses during your TMS experiment.